Cost: $3,495.00. three credits and $4,495 Four Credits Undergraduate. Deposit $300 (required upon registration). Cost includes tuition, fees, food, lodging and transportation to field sites from San Jose Int. Airport. Cost does not include airfare to San Jose. Students will be picked up and dropped-off in San Jose Airport. Important Dates: Arriving San Jose Airport no later than May 24 and departing on June 10 - 3 credits and June 15 -four credits. Exact pick-up and drop-off places and times will be emailed to registered students ahead of camp. Each session is limited to 20 students. 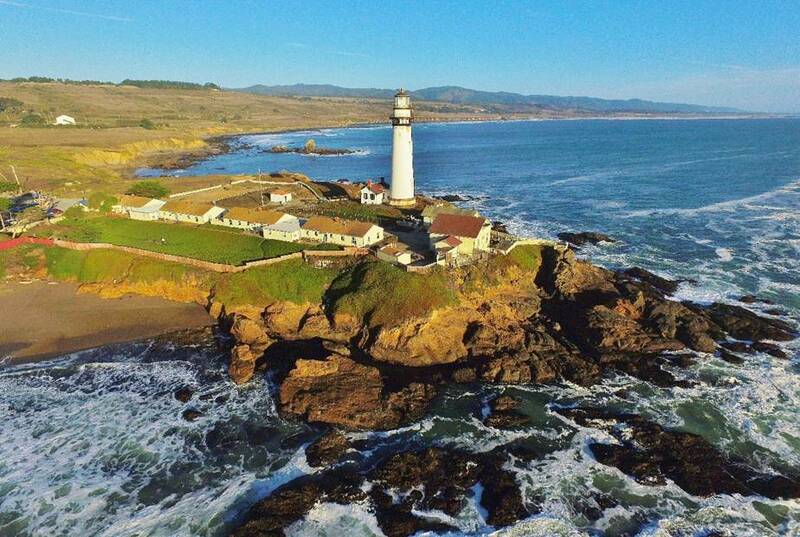 Introduction: Late Cretaceous to Paleogene deep-water deposits are spectacularly exposed along the coast of western California. This is an opportunity to map and interpret the stratigraphic evolution of canyon, channel-fill, levee, splay (lobe), and overbank clastic assemblages deposited in a forearc basin setting. The processes of sedimentation and architecture of mudstone- and conglomerate-rich strata will be featured from shelf to basin floor. These depositional systems are applied as analogs to help understand geologic risk in deep-water drilling programs in both active and passive margin plays. The history of exploration into these turbidite-dominated systems began over a half century ago and inspired the famous work that led to the identification of Lowe division terminology. Today, these deposits remain relevant as reservoir analogs for petroleum provinces and will continue to be useful for years as the nature of industry challenges evolve. The classic outcrops visited on this field course were the basis of a Hedberg Field Research Conference in 2000. Key mapping exercises will emphasize preparation of stratigraphic columns, geologic maps, structural cross sections, and completion of formal reports. Successive projects will involve greater geologic complexity, and one project will emphasize the assessment of petroleum resources. Practical applications to resource exploration and development (i.e., new ventures, exploration, development and production of oil and natural gas) are emphasized. These skills are also extensively used for mapping the subsurface in the broad field of environmental sciences. This course is aimed at students wishing to pursue careers in industry, government, entrepreneurship, research and academia. Prerequisites: Sedimentology, stratigraphy, mineralogy, petrology, structural geology, geophysics is helpful but not required. Exceptions considered on request. Physical demands: Field work will involve mapping remote areas and will include daily hikes of considerable length. 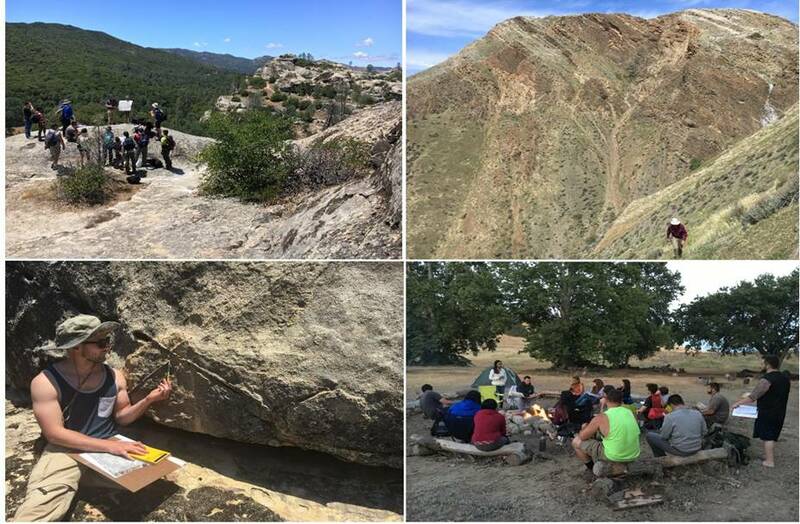 Students should be physically and mentally prepared for work in coastal and mountainous terrain in and around the areas of Pescadero, Napa, Monterey, the Santa Lucia Range, Coalinga, and Gilroy. Climate: Weather in northern California during the spring is generally fine. However, participants should be prepared for hot days (95° F / 35° C), and cold, rainy weather (45° F / 7° C) during storms. Participants should respect the variability in the daily tides and frequently changing weather patterns in the mountain passes. Facilities: Lodging for the program will be split between research stations (9 nights), hotel (3 nights) and tent camping (10 nights). Our accommodations will be in and around the cities of Pescadero, Davis, Carmel Valley, Monterey, King City, Coalinga, and Gilroy. Students will need to supply their own ground tarp, tents and bedding (sheets, or sleeping bag). Other required equipment: Basic geology tools including Brunton compass, hand lens, write-in-the-rain notebook, map case, map board, and colored pencils. Students will need a laptop for written reports. Suitable clothing for working in hot, coastal environments and cool, mountainous environments including wide-brimmed hat, sun-proof shirts and pants, sturdy boots, and appropriate socks is required. A complete and detailed equipment list will be provided for participants ahead of the camp. Our trip begins with a visit to the stunning campus of Stanford University, before visiting key locales including (clockwise from top left): Upper Cretaceous Venado Sandstone exposures at Monticello Dam near Napa; Upper Cretaceous Sites Sandstone north of Guinda; Upper Cretaceous to Paleocene Pigeon Point Formation at Bean Hollow State Beach near Pescadero; Paleogene Carmelo Formation at Point Lobos State Reserve. Through this course, students will have the opportunity to map several kilometers of stratigraphy including numerous types of clastic lithologies. Faulting and folding of the strata since deposition and outcrop limits challenge students to think in three dimensions to reconstruct the basin history. This is a field-intensive program designed to prepare students for careers in industry, government and academic research. A typical day begins with juice, coffee and tea and delicious hot and cold breakfast items. At this time, participants can pack a nutritious lunch to carry with them into the field. Field mapping and instruction lasts from about 8am to 5pm followed by a hearty and filling dinner between 6-7pm. Collaborative post-dinner discussions and presentations (sometimes over campfire, under the stars, while roasting s’mores) help to solidify the observations made during the field day and to plan the mapping program for the next day. We strive to provide a superior instructor-to-student ratio. We believe this facilitates an unparalleled learning experience. In 2017, this ratio was one instructor for every five students. Western California is blessed with perhaps the best weather in the Lower 48 during the months of May and June, so sunny days are expected. 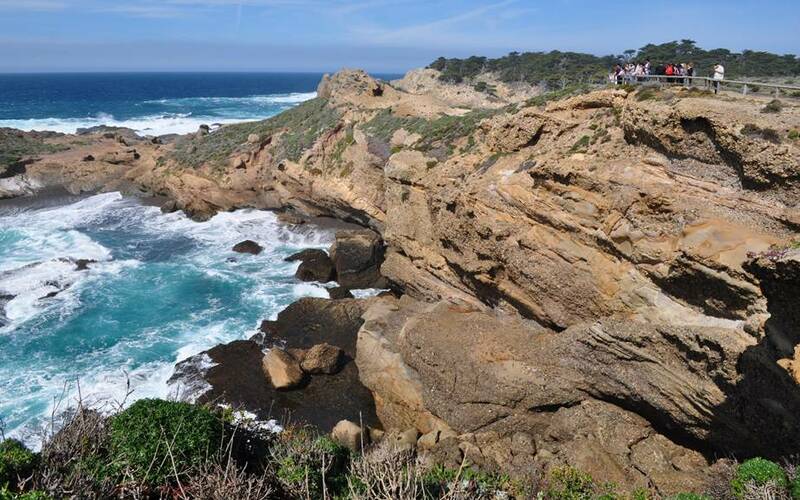 Drenched in the sunshine are matrix- and clast-supported conglomerate (right) against Salinian granite (left) at Point Lobos State Reserve, interpreted as the wall of a Paleogene submarine canyon. Geologists for scale in lower right corner of photo. Submarine canyons are the main suppliers of coarse sediment and nutrients to the deep ocean. We bring stratigraphic analysis into the 21st century. Outcrops of the Upper Cretaceous Panoche Formation were previously interpreted to represent marine sheet deposits. However, we identify lateral accretion packages (LAP) comprising channel-fill and laterally extensive sandstone- and conglomerate-rich beds interpreted as lobes. Aerial photography is used to assist mapping these steeply dipping and complexly faulted marine clastic deposits. LAP also occur in terrestrial river systems and represent a key petroleum or water reservoir architectural element. While geologists are taught that sedimentary layers are laterally continuous in our principles of stratigraphy classes, there are numerous examples of how nature does not follow strict rules. Lenticular and poorly sorted conglomerate and sandstone deposited primarily by high-density turbidity currents at Point Lobos State Reserve near Monterey. These deposits of the Paleogene Carmelo Formation are interpreted to represent the fill of an ancient submarine canyon. For years, questions have been raised pertaining to the observed stratigraphic cyclicity in these rocks. These observations will be used to interpret upslope sediment delivery, coastal processes, presence of feeder systems, and fidelity of sequence stratigraphic methods in deep-water depositional systems. An emphasis on teamwork and positive achievement: collaborative core-log-seismic exercises enhance and enrich the education experience. 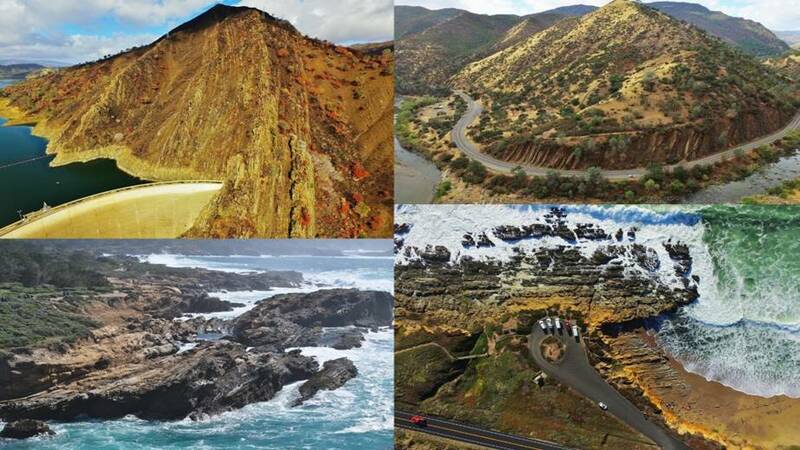 Many of our mapping areas are coastal in nature, for the exceptional outcrops and natural air conditioning provided by the Pacific sea breeze. Exposures of matrix- and clast-supported conglomerate of the Pigeon Point Formation south of Pescadero. In the early part of this field program, we will discuss how fluids, plastics, and thixotropic substances deform with the application of shear stress. Have you ever wondered how sedimentary basins form and are filled? In this course, we work on a variety of scales – from pore scale to basin scale – to examine the history of the Earth. Do you know what types of flow deposited the rock above? Join our adventure to California to discover for yourself!